A century after the first world war, a project to build a national World War I memorial has taken a significant step forward. The latest design concept for the memorial has been approved by the U.S. Commission of Fine Arts, according to an announcement Thursday from the World War I Centennial Commission. 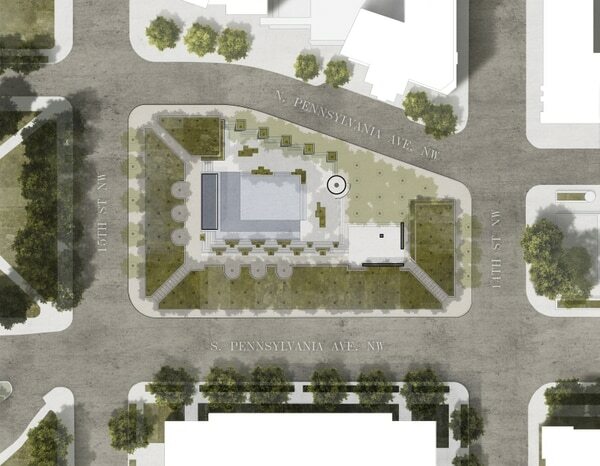 Plans call for the memorial to built built at Pershing Park along Pennsylvania Avenue in Washington by 2020. 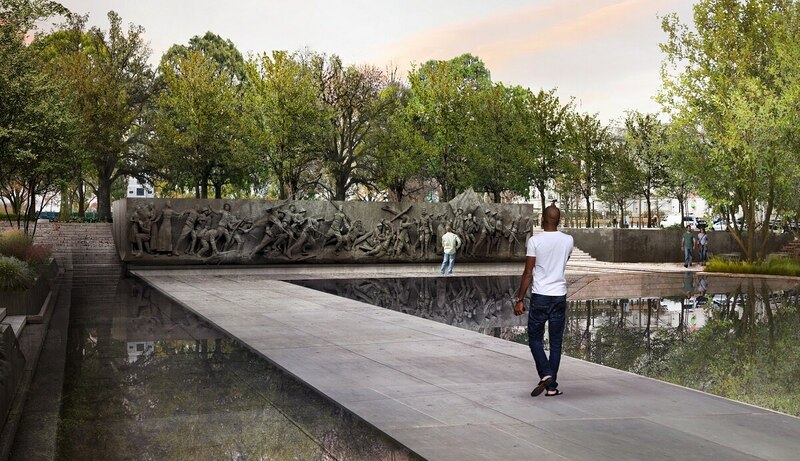 Illustrations of the planned memorial feature a long bronze wall with figures of troops leaving their families, fighting and falling in combat, suffering wounds and ultimately returning. The plan shows the structure in a wooded park setting with a reflecting pool. Designs for the memorial got a unanimous vote during a presentation Thursday by the commission’s project team. The project was presented to CFA, the National Park Service and the National Capital Planning Commission. “We will continue to push forward in this effort. Our veterans deserve our best effort, and we owe it to them,” said WWI Centennial Commission chair Terry Hamby in a release. Architect David Rubin and members of the commission said variations on the design may be developed further with the oversight organizations. The site for the national World War I Memorial is planned for Pennsylvania Avenue in Washington. Congress in 2014 designated the site of the new memorial, which is intended to honor the Americans who served in the war, numbering more than four million men and women. The memorial project is funded through private donations. Donations may be made at the commission’s website. A memorial to the war already exists on the National Mall, a small structure with columns supporting a dome, placed by the citizens of the District of Columbia in the 1930s. But a national World War I memorial was never built, while the nation’s World War II memorial opened in 2004, and the site for the Desert Storm memorial was approved last month.